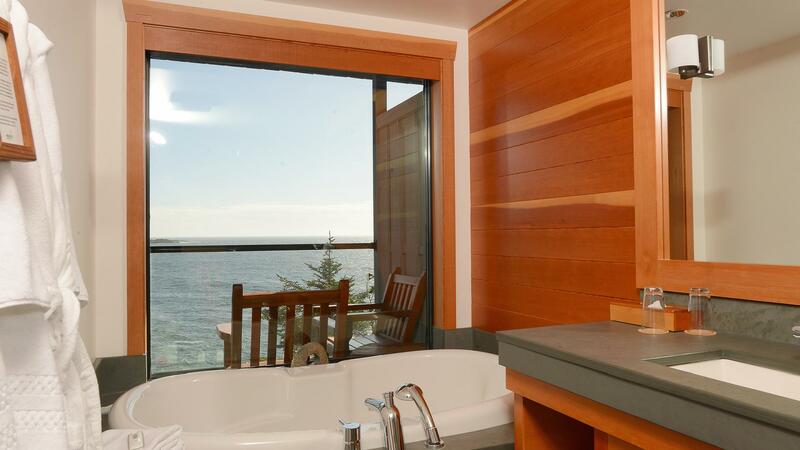 Wickaninnish Inn is situated on a rocky promontory, jutting into the sea on the edge of the Pacific Rim National Park outside Tofino. 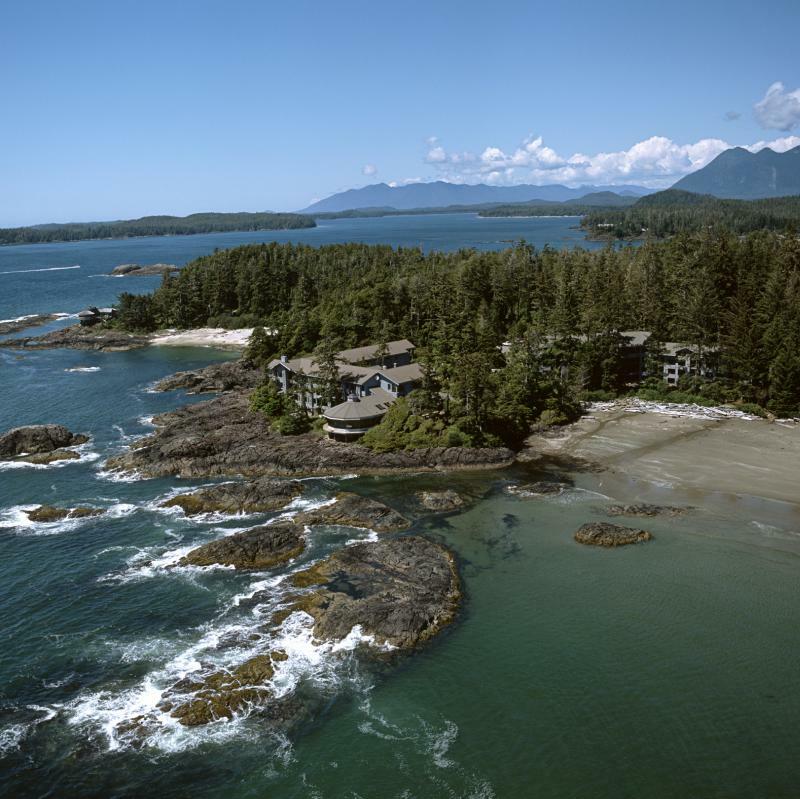 This 75-room Relais & Chateaux property is run by Charles McDiarmid, whose family has lived in Tofino since the 1950s. 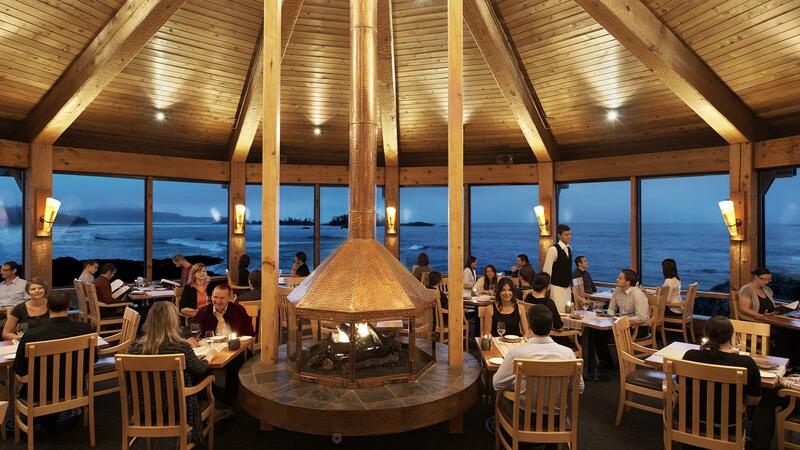 From the Pointe Restaurants 240-degree ocean view you can watch surfers catching waves, crows breaking mussels on the rocks and even spectacular storms while you dine on sumptuous dishes featuring ingredients borrowed from First Nations cookery, such as smoked wild Pacific salmon, locally foraged chanterelle mushrooms and wild huckleberries. 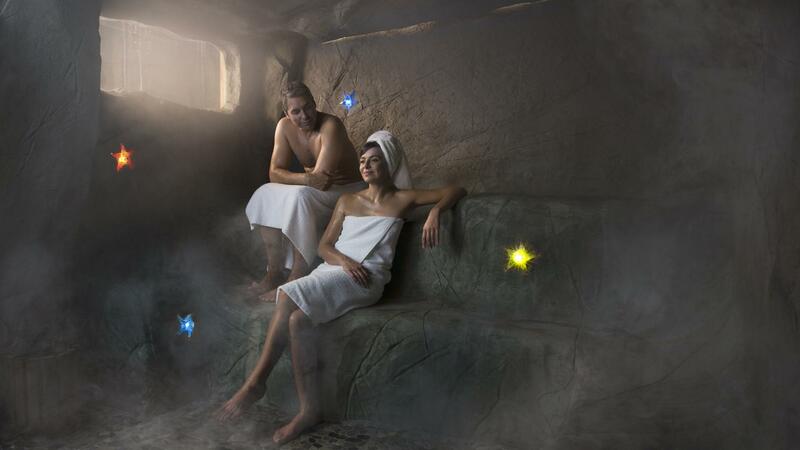 In the Wickes Ancient Cedars Spa, indulge in the Hishuk Ish Tsawalk treatment. 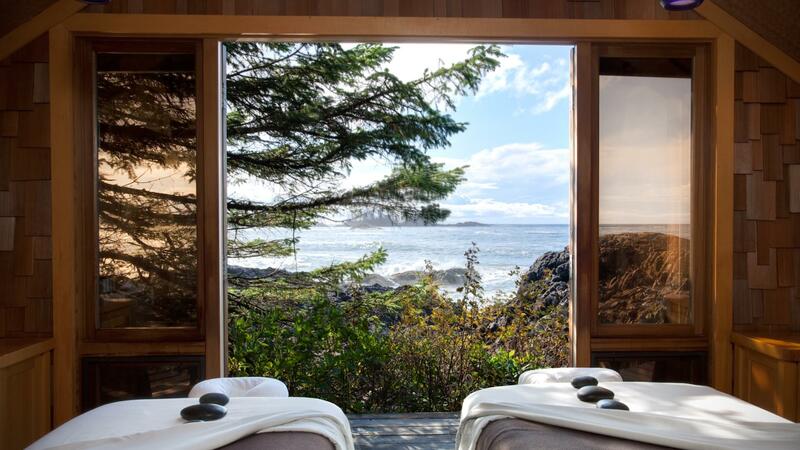 The service draws on indigenous West Coast cleansing ceremonies and includes a saltwater foot soak and a full-body exfoliation using a local seaweed polish, and wraps up with a lengthy hot-stone massage. From the Wickes beach exit, slip down to the former studio of late master carver and local character Henry Nolla, where a new generation of artists produces totems, masks and other wooden artworks, all steeped in the aroma of fresh cedar shavings. The two buildings, ‘At-the-Pointe’ and ‘On-the-Beach’ have been designed to complement each other and the natural, peaceful beauty of their surroundings. Rooms and suites are spread over three floors, the most expensive being on the third floor as the views, good on the ground floor, become more and more stunning as you go up. 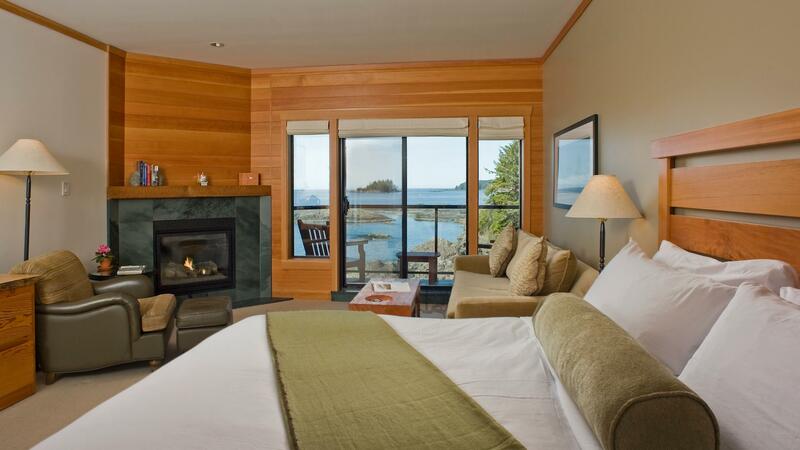 Wherever you are in the hotel, you will have an inspiring view of the ocean and Chesterman Beach, revealed by floor-to-ceiling picture windows. 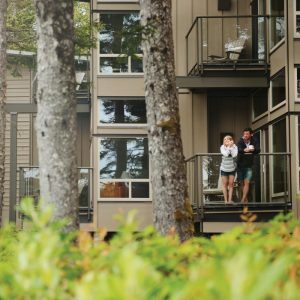 Step out onto your balcony, breathe in the fresh salt air, listen to the waves crash onto the shore below and you’ll know you’ve arrived on nature’s edge, in Tofino BC. 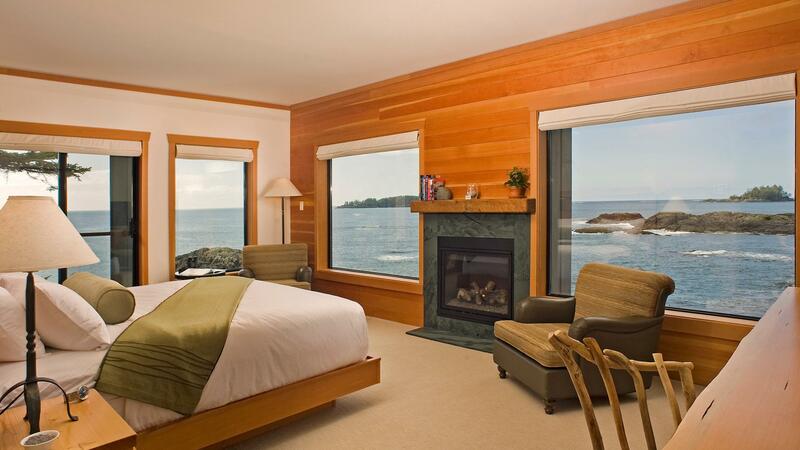 As you explore your room, you’ll discover that every need has been anticipated… private bar, beverage station, individual book selection, your own suite of CDs, down duvet, and large screen television – in the off-chance you can pull yourself away from the rhythmic sounds of the surf outside. 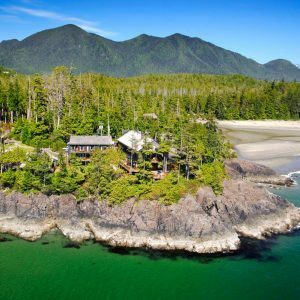 You might gaze off at the Tofino surfers hanging ten or simply ponder the glory of the evening’s sunset or next morning’s sunrise. 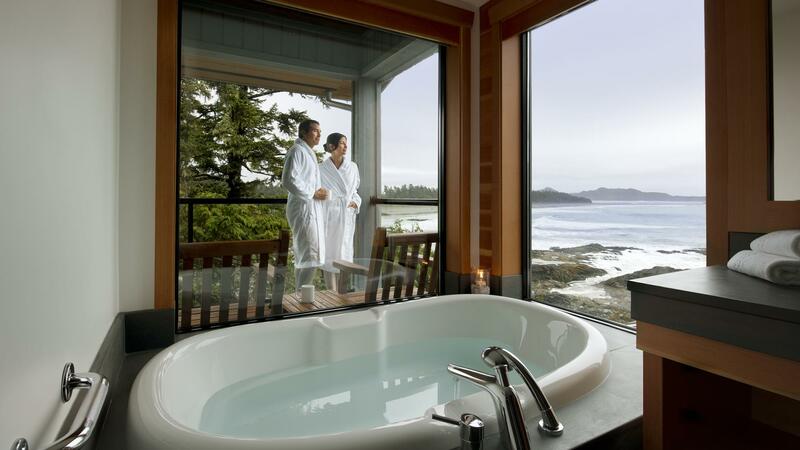 In any case, be sure to take a leisurely walk on Chesterman Beach and afterwards, toss some aromatherapy bath salts in your oversized soaker tub and enjoy a heavenly hot bath. Pure indulgence in a fantastic setting.